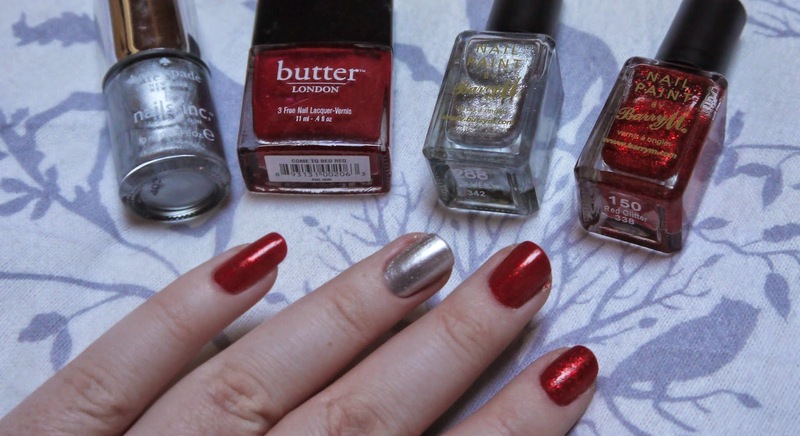 Hello lovelies, today I thought I would share with you a Christmassy 'what's on my nails' who doesn't love a bit of glitter and sparkles on Christmas right? Also I think red and silver are very Christmassy colours so I thought I would team the pair together and do a sparkly number on my finger tips, the top coats I used from Barry M are quite sparse on their own, you would have to do about four coats and I am not a patient nail painter so I opted for a base coat in the same shades. 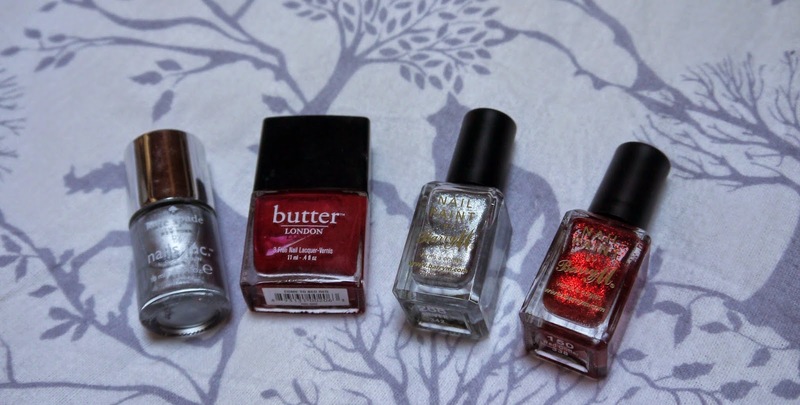 Butter London - Come to bed red, I firstly painted my nails with this red to give my nails a more red opaque look, this stuff is gorgeous and glides on the nails like a dream. It is a stunning red alone but I wanted some sparkles for Christmas. Barry M - Red Glitter, I painted this on top of the come to bed red for a gorgeous glittery finish, it really is stunning and looks like Dorothys slippers from the Wizard of Oz. Nails Inc - Soho silver, I painted this on my ring finger for the perfect base for my silver sparkles, again this is a beautiful colour on its own, very festive and great for new year parties too. 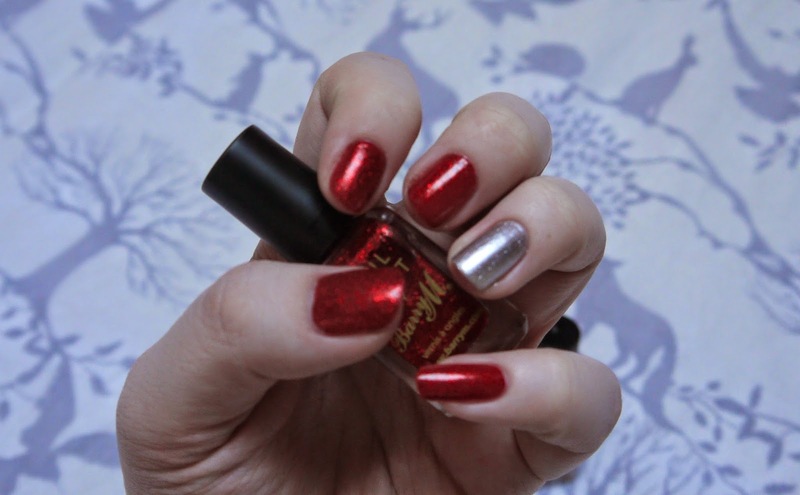 Barry M - Silver, I don't think this is as pigmented as the red glitter but it just gives that little bit of glamour to your nails and makes them look like pretty silver sparkly baubles. What have you put on your nails for the festive season?